Trace the outside of a Duck Tape® core onto paper and cut it out. Lay the circle flat and cover with 3 pieces of Duck Tape® that are approximately 5.5 in. long. Cut slits all around sticky area of your Duck Tape®. Cut 2 pieces of floral wire that fit around the circumference of your circle and make it into a circular shape, with a small piece of wire going through the center. Place the wire onto the paper from step 3. Fold the slits over the wire until it's completely covered in Duck Tape®. Fold over the finished circle into a fortune cookie shape. Write your note on a slit of paper. 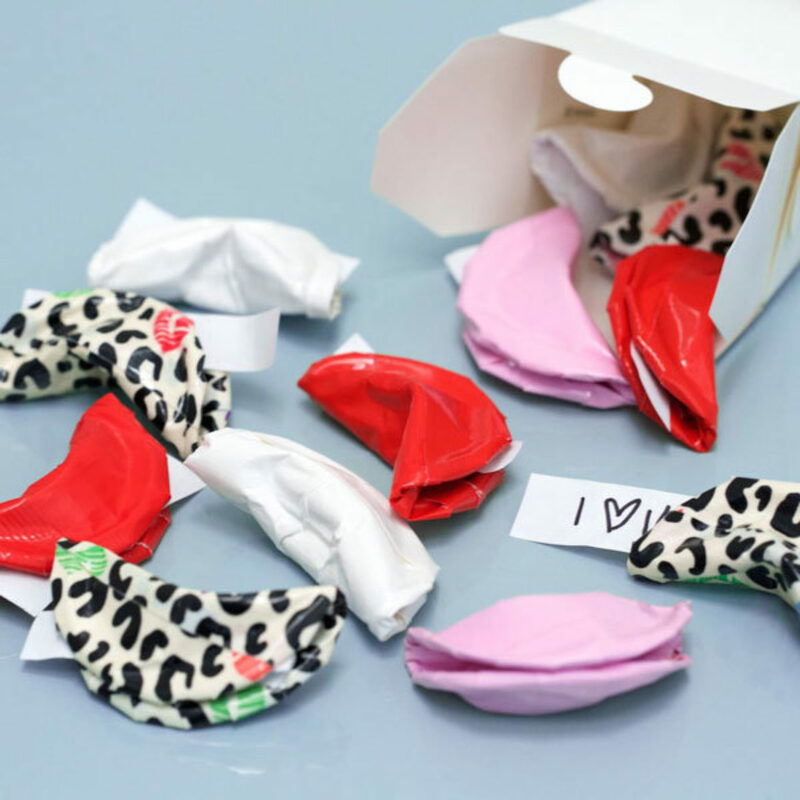 Place your message inside the fortune cookie. Add a touch of sophistication to any outfit with this Duck Tape® bow belt.